Siri, Cortana, Alexa, Google Home, and other similar assistive technologies have assisted people by shedding light onto the miraculous applications of Artificial Intelligence. A virtual assistant can without a doubt increase the level of comfort and fun in your life. You can even make your assistant do your entire phone’s tasks for you while you sit and get your dose of relaxation. It can also make your calls, send all your important emails, and even entertain you during your much-needed leisure time. Alas, there is no Siri for the Android users. However, Android always has an alternative option for when it comes to apps. There are a lot of other assistant apps available apart from Google Assistant in the Play Store for Android users. So, we have taken the liberty of picking out a list of nine of the best personal assistant apps for Android, which are incredibly reliable, and all of them are easily available in the Google Play Store for free. Google Assistant is undoubtedly the absolute best assistant for Android. 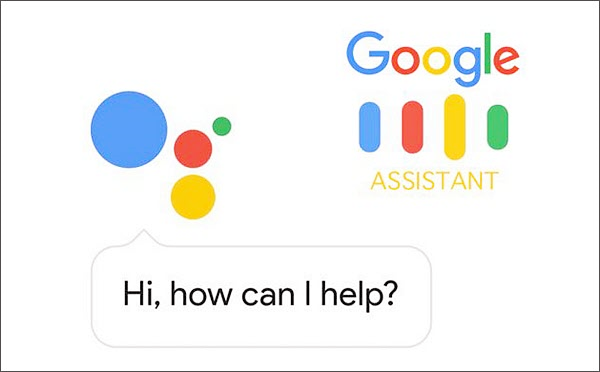 Developed by Google, the assistant is readily available for nearly all Android phones running on software Marshmallow, Nougat, and Oreo. However, one should be sure that “Google Play services” and “Google App” are properly updated on their devices. It can be helpful with just about any task that one would prefer. Besides all the necessary functions such as making calls, sending texts, navigating places, emails, setting alarms and reminders, web search, weather forecast, news updates, etc., Google assistant provides you with fun and entertainment too. You can play games, take selfies, ask for fun facts, play music, and a wide array of activities including the 30+ Super Useful Voice Commands available at your whim. You can swiftly launch it by saying “OK Google” and the assistant will notice at that very moment. Lyra used to be known as the Indigo Virtual Assistant which is an intelligent personal assistant that runs efficiently on Android and iOS devices. Other than the basic assistant functions such as making calls, emails, sending messages, web search, etc., it also has the ability to play YouTube videos, tell jokes, manage your diary, translate words and phrases, set alarms, etc. Lyra’s positive efficiency is proven by the point that it is cross-platform and can easily retain a conversation across several devices. This Siri alternative for Android uses highly advanced natural language processing so that you expect minimum errors while conversing with it. 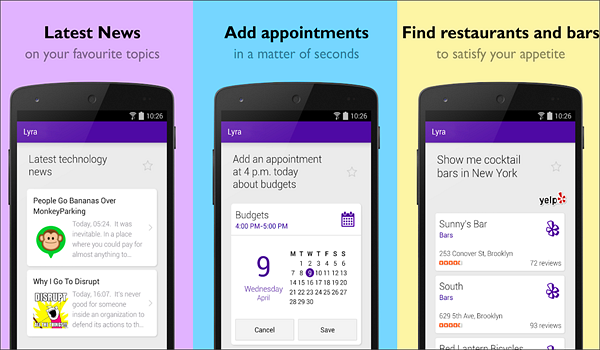 All in all, Lyra is one of the absolute best personal assistant apps for Android which is completely free with no in-app purchases or ads. Microsoft Cortana can easily help you with your reminders, lists, keeping notes, tasks and much more. You can simply set a reminder on your Windows PC and get a location or time-based alerts on your smartphone without any hassle. If one uses Office 365 or Outlook.com for email service, Cortana can automatically set a reminder based entirely on their email conversations. Cortana has the power to assist you with various tasks and help you find answers from the internet easily. You can also set your very own custom name by which this Android voice assistant will continue to address you. 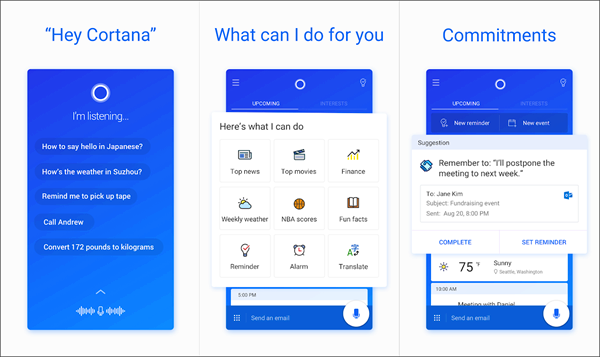 This Android assistant app can be activated by simply creating a mere shortcut on the home screen or just by saying “Hey Cortana.” The “My Day” feature in the app provides the user with their relevant information each morning efficiently; this includes appointments, news, and weather. This feature also learns from continued usage and readily adapts itself to familiarize with your likes and dislikes. You can also ask Cortana to tell you jokes or entertain you with a simple song for amusement. This powerful assistant app contains a feature called “Notebook” with which you can control exactly how much the app learns about you and the exact kinds of suggestions you will receive. If you are a Windows 10 user, you should surely try this Android assistant app and utilize its absolutely amazing features. Android developed Extreme to mimic the actual functionality of Tony Stark’s J.A.R.V.I.S. from Iron Man. It possesses quite a nerdy looking interface. However, it has enough reliability. Extreme completely sums up all essential Android assistant functions, ranging from makings calls to surfing the internet. Users can simply interact either by natural speech or keyboard. You can also ask your AI to post Facebook statuses, play YouTube videos, take selfies, etc. One can launch the app by calling “Extreme,” and it will be ready for your every command. Extreme is absolutely free and easy to use. However, it displays various ads and has certain in-app purchases. 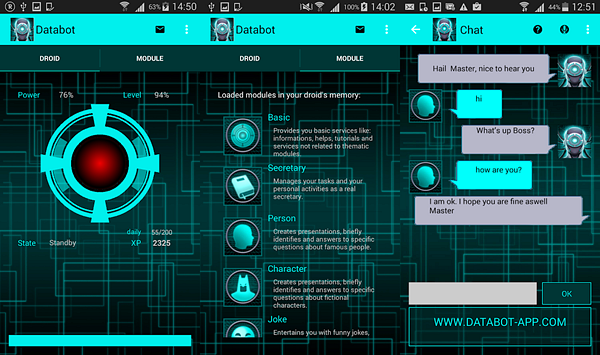 DataBot is one of the absolute best Android assistant apps that one can utilize to play around or question for all sorts of different information. The user can interact with it either by using their device’s microphone or simply typing. It will efficiently search for whatever you wish to know about. DataBot is incredibly reliable while one travels, studies, works, plays, or relaxes; it can also address you with the name of your fancy. Apart from these mouth-watering features, it is a cross-platform software, i.e., which means you can use the same assistant on your smartphone, tablet, and laptop, as in several different locations. DataBot gains experience with continued usage. It is entirely free and also easily available in five other different languages apart from originally English. However, this assistant app contains ads and in-app purchases. 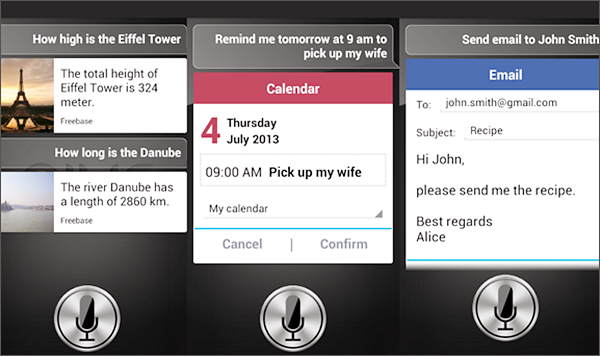 Robin is an intellectually excellent virtual assistant app for Android which has been built as a challenger to Siri. It can provide the user with great assistance while they are driving on the road by efficiently delivering proper local information, right direction, GPS navigation, inform you about traffic, etc. Furthermore, it is incredibly fun to use, and you can even program it to address you with whatever name that you might prefer. Robin continuously proceeds to learn and adapt to you. 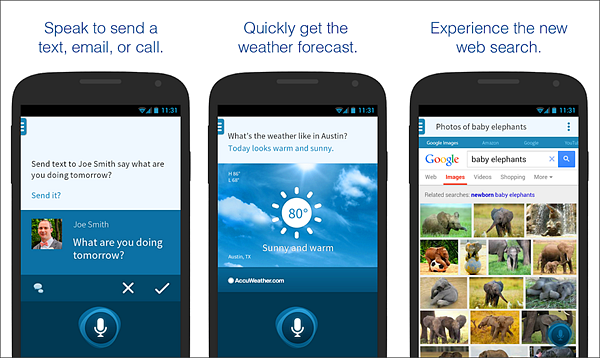 You can question it about weather reports, news, set reminders and alarms, send texts, make calls, etc. ; and all these functions can simply be done hands-free. With just a tap on the microphone button, Robin will be eager to assist you. You can also initiate it by saying the words ‘Robin’ or by ‘waving hello’ twice in front of the upper edge of your phone, over the proximity sensor. Jarvis keeps its users regularly updated on a lot of contents such as informing you about the latest news, current weather status, calls, texts messages, etc. Currently, it supports only the English language. Jarvis can easily control your phone settings by switching on WiFi, flash, set alarms, Bluetooth, reminders, play music, etc. Other than this, it possesses widget support that enables you to easily and effortlessly access Jarvis from your lock screen with no more than a single tap. Also, it can even run on all your Android wearable as well. Jarvis personal assistant is absolutely free to use along with ads and has some in-app purchases. 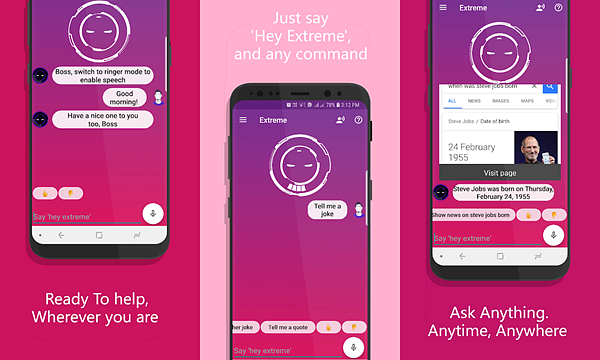 AIVC is the abbreviation for Artificial Intelligent Voice Control software that can readily assist you to get done with things quickly and easily on your personal Android device. Along with a free version it also possesses a PRO version. The free version displays ads and contains all essential functions, such as making calls, SMS, emails, navigation, opening any apps, web search, weather reports, etc. Whereas, the PRO version offers a few extra features such as wake up mode, TV-Receiver control, play music, etc. This Android assistant app allows you to set your own personal commands and even lets you control devices which are accessible over the web interface. Moreover, you can relay commands by either typing or using your voice. It also supports English along with German languages. 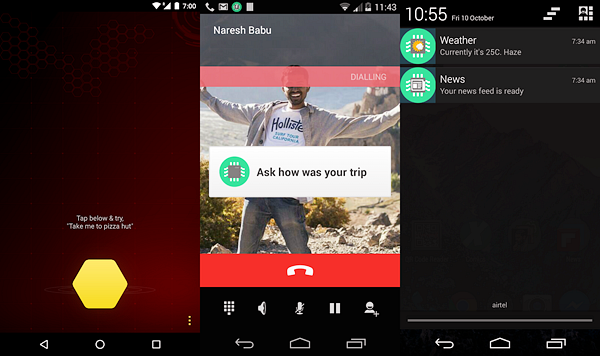 Dragon Mobile Assistant is an excessively smart and highly customizable assistant app for Android that will be able to suit your personal needs efficiently. Powered by Nuance, Dragon Mobile can read aloud all your Facebook and Twitter status updates, messages, incoming calls, alerts, and upcoming appointments. Other than these essential functions, you can also turn on the attentive mode and simply wake up your assistant anytime, or possibly even create your own voiceprints. Also, It offers higher personalization as you can choose a voice and create a name for the assistant. This is currently only available in the US on the Google Play Store. However, as they add additionally an array of languages and variants of English, this voice assistant will also become supportive of other countries. 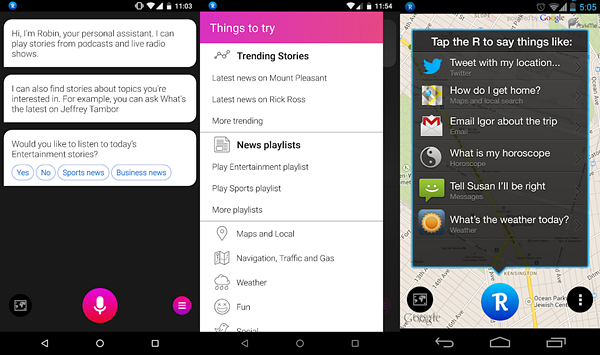 The above mentioned are the ten best Android mobile phone assistants. There is also a special tool recommended for you, that is iReparo for Android. 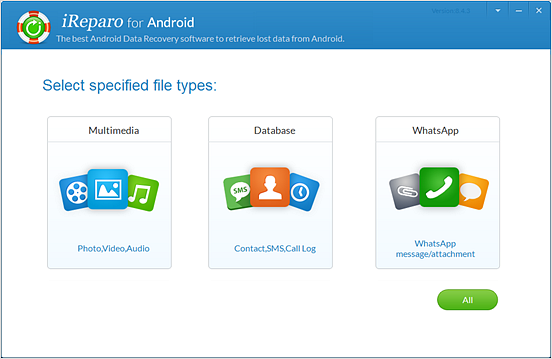 It is a professional data recovery software designed for Android users, which can recover a variety of file types, such as contacts, messages, call logs, photos, videos, WhatsApp and Viber chats, etc. When your data is accidentally lost or deleted, it will be your best assistant. Download and install this powerful tool on your computer now!